The list is getting shorter! 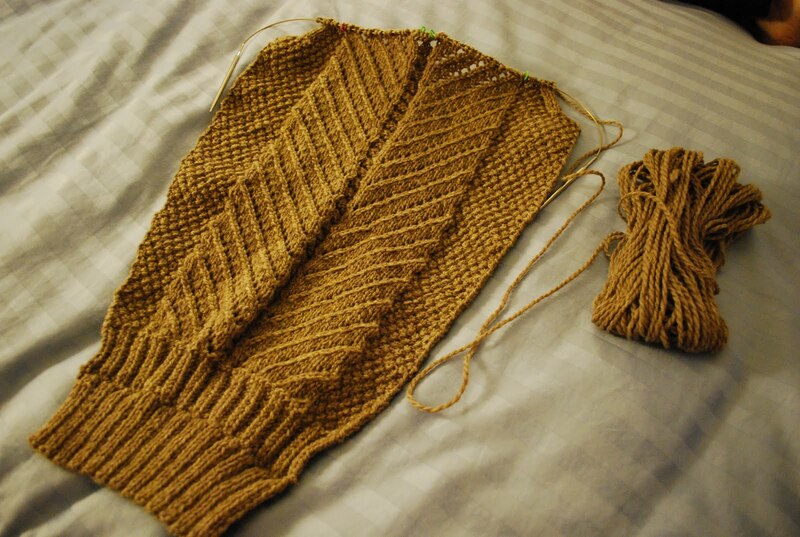 Reality has set in: There is no way my Oblique is going to be done in time for Thanksgiving. 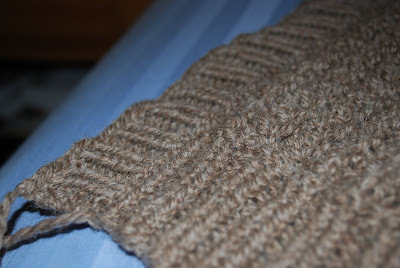 For some reason, even though I've knit quite a few sweaters, I always forget how long sleeves take. The good news is that I've started the raglan decreases on sleeve #1 (and am quickly approaching the end of my second skein of yarn). I imagine that I'll get in some decent knitting time next weekend, but I'm not going to kill myself trying to get this done to wear to Thanksgiving dinner. 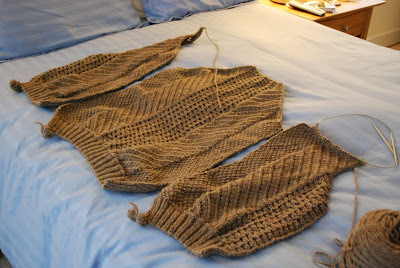 By Christmas seems more likely, especially because I have to put this down for a bit to do some super secret knitting. 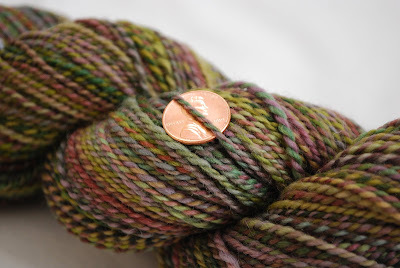 Please don't forget that there's still time to do some good and win some handspun in return! I don't know whether it was the sudden cold snap last week or the depressingly early sunsets of eastern standard time, but something has caused my sweater mojo to come back in full force. The last time you saw my Oblique, I only had about six inches done on the back. 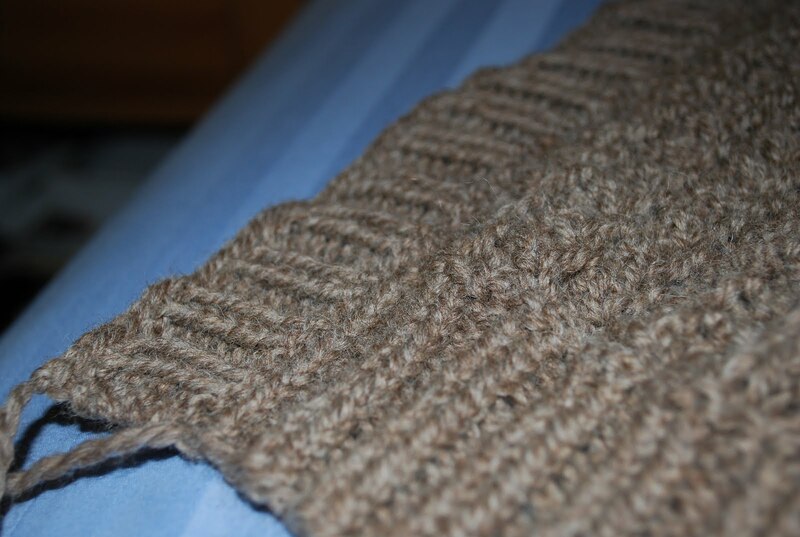 It sat like that for some time and then, all of the sudden, I felt the urge to do some serious sweater knitting. I powered through the rest of the back in a matter of days, completed one front in a weekend, and am now roughly two-thirds of the way through the second front. I'm hoping to finish it off tonight. After this, there's just the sleeves, seaming, collar, and button bands to be done. It's a slim shot, but I may just finish it by Thanksgiving. A quick one for tonight -- the latest spin, which was finished last week and has been waiting patiently for the sun to come out so it could have its photo shoot. This is Crown Mountain Farms Corriedale (the October fiber club shipment) in the surprise colorway, Freya. My two ply is roughly sport to DK weight and approximately 273 yards.